SHEBA DISTRIBUTION, the representative of Garmin in Romania, announces the availability of the third edition of the Romanian Digital Atlas, RO.A.D 2008, a product realized within the Digital Romania Project initiative. Romania (position, delimitation and surface), all the localities within Ilfov county at street number level, points of interest and detailed large building footprints, a new Danube Delta map, remade, revised and added data, at an incomparable quality level and the routable tourism paths in Piatra Craiului and Fagaras massives. As for the additions, the number of the localities in Romania increased to more than 1,000, all at streetname and street number level (where available! ), covering almost all big cities in Romania and all the localities within Bucharest, Bihor, Cluj, Covasna, Ilfov and Salaj counties. Another premiere, compared to other Romanian maps from other suppliers for competing brands, is that all the localities of the Arad county are represented on a street number level, points of interest and polygons. The localities Cazasu, Martacesti, Ianca, Faurei-Sat, Surdila-Greci, Bratesu Vechi and Horia from Braila county, the localities Barcea, Umbraresti-Deal, Ivesti, Liesti, Beresti, Târgu Bujor, Matca, Draganesti and Malu Alb from Galati county and the localities Macin, Revarsarea, Smârdan, Isaccea, Carcaliu and Greci from Tulcea county were brought to the level of street number, points of interest and detailed polygons. Bucuresti, Timisoara, Oradea, Baia Mare, Braila, Galati, Pitesti, Snagov, Brasov, Poiana Brasov, Ploiesti, Giurgiu, Constanta, Bacau, Tulcea, Zalau, Alba Iulia, Târgoviste, Craiova, Râmnicu Sarat, Blaj, Cluj, Târgu Mures and Râmnicu Vâlcea cities were fully revised and were added with the footprint of the blocks, Oradea and Baia Mare have also the footprint of the houses. In Bucharest, Timisoara and Cluj were updated the oneway and pedestrian roads according to the last modifications implemented by the city halls of these cities. All the localities within Romania were revised as point position and name. If there were two localities with the same name within the same county, they were differentiated according to the name of the commune they are belonging to. Moreover, the topographic details have multiplied: contour lines, hydrography, vegetation coverage, including forests typologies and many other new typologies. Moreover, Dacian, Greek, Roman, medieval fortresses, tourism villages, vineyards, dams, arts and crafts fairs (pottery, naive painting, popular architecture (watermills), fairs, Romanian traditional ethno-folkloric manifestations, artistic, historical and cultural monuments, and many others. There are present in the new map many new roundabouts, oneway streets, the ring road in the South-East of Arad and the extension of Highway A1 in the North of Pitesti. Many points of interest have extensive contact information, including the address and international telephone number. The administrative limits (communes, counties, international border) have been revised. 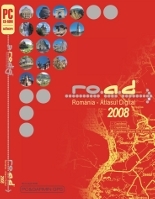 ROAD 2008 edition is dedicated to Romanian athletes who won medals at the Olympic Games at Beijing 2008. RO.A.D. 2008 v3.01 Map has a capacity of over 400 MB, which is almost 3 times more than the previous version ROAD2006 v2.16, which amounted to only 140 MBytes. RO.A.D.2008 is a product created within the national public initiative, Digital Romania Project: www.romaniadigitala.ro. The map was created during the last 2 years and carries production costs of around 250,000 EUR. The installation manual is translated and printed in 7 languages: English, German, French, Italian, Spanish, Hungarian and Romanian. An explicative glossary was drafted in all 7 languages for the icons created within the project. The price of the CD with ROAD2008 v3.01 is 599 RON, VAT included. 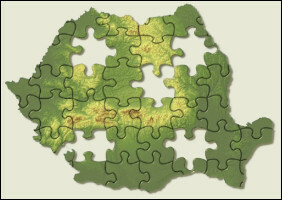 Those who have previous versions will be able to upgrade to the new version of the map for at attractive, reduced costs. The map can be used on any Garmin GPS device that is NT compatible, for Kenwood clones, on PDAs and mobile phones with Symbian, PalmOS and Windows Mobile using Garmin Mobile XT application, on PCs with Windows XP, Windows Vista using MapSource, nRoute and Garmin Mobile PC and on Mac using Mapsource.